Exciting news! 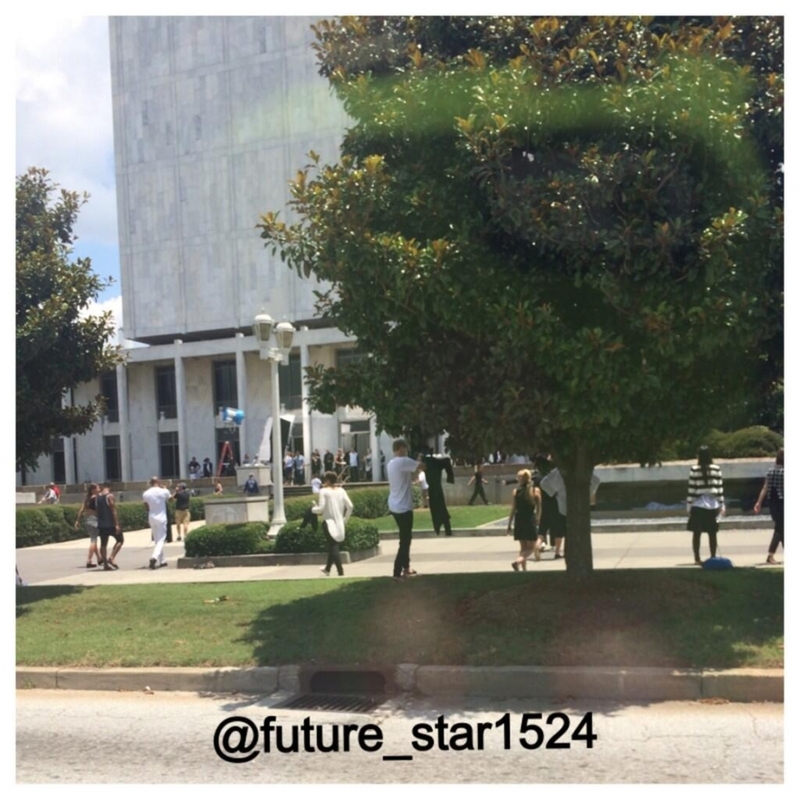 We’ve took our time to collect all the new photos and videos fellow fans have shooted of the zip lining and the Candor headquarters in the ‘Insurgent’ set. 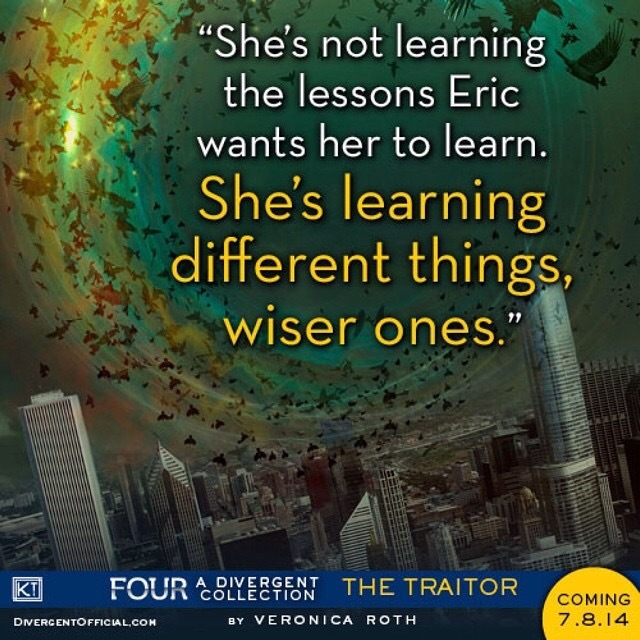 We’d like to thank to all the Initiates who have posted this content. 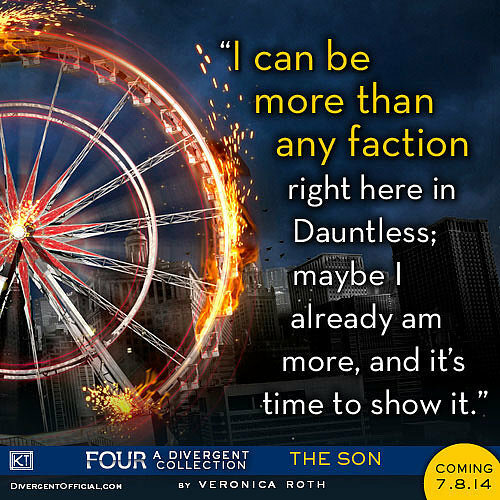 Veronica Roth talked with Pop Sugar about her visit to the Insurgent set, Divergent and more. PS: As you mentioned, they’re shooting Insurgent and they’re going to make Allegiant into two different movies, so you know you’re going to be in the Divergent world for a few more years to come. How does that make you feel? VR: I think it’s definitely just exciting. And it’s kind of wonderful because my work is kind of done. I get to watch them play around in the world that I created. I kind of get to relax a little bit from the creative part of it and work on whatever I want while nobody’s watching for a while. So maybe by the time the last movie comes out I’ll probably be like, “OK. It’s time to get going on something else.” But right now it’s just superfun and exciting, and that’s it. 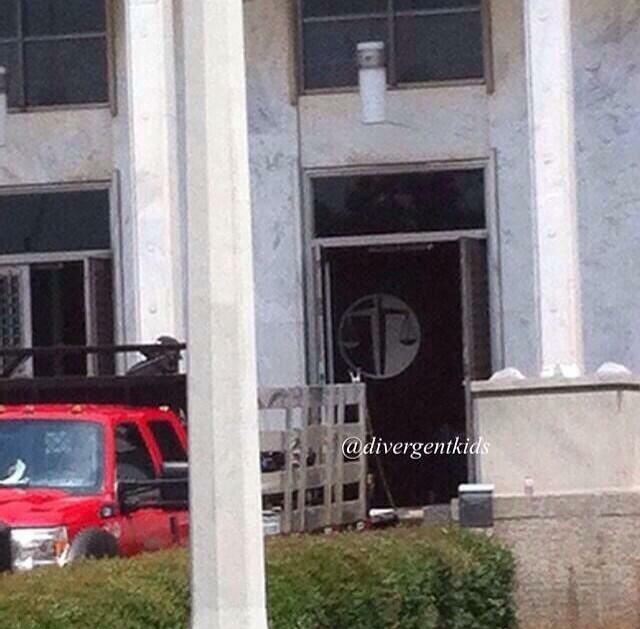 PS: Back to Insurgent, have you been to the set yet? VR: I have! I was just there last week. PS: Can you tell us anything about what you’ve seen on the set? VR: I’m trying to think about what I can actually say. 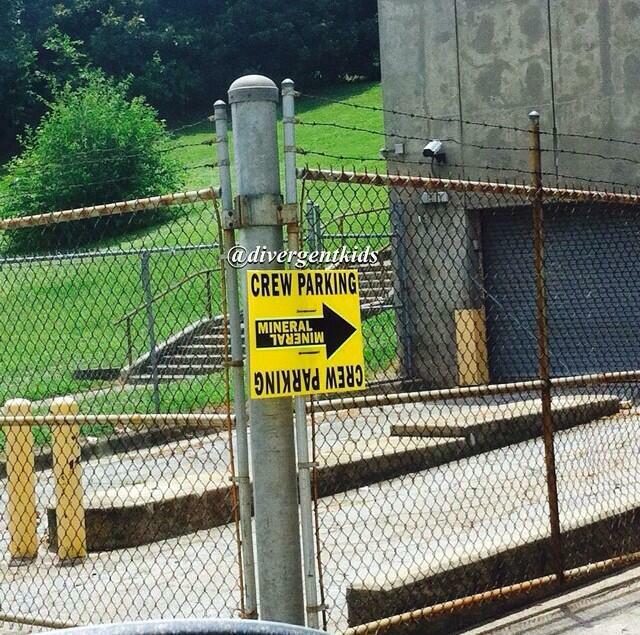 They were doing some of the Amity stuff while I was there, so I saw, you know, the Amity stuff! Sorry, I’m being super vague. 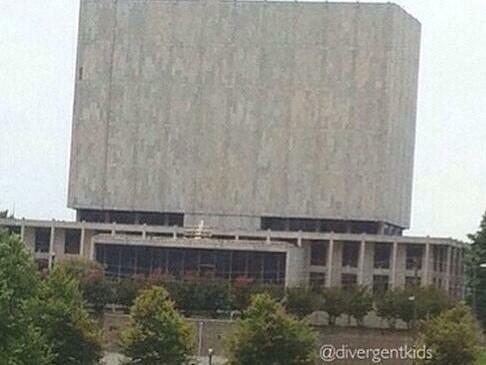 PS: Did you see the Amity tree? VR: Yes, there was a tree! A very large tree. It was great. All of the sets were incredible. I think I pointed at one — I’m going to be vague and not tell you what it is — and I was like, “How did you guys find that, that’s amazing!” And they were like, “Oh, we built that.” I’m easily duped apparently. 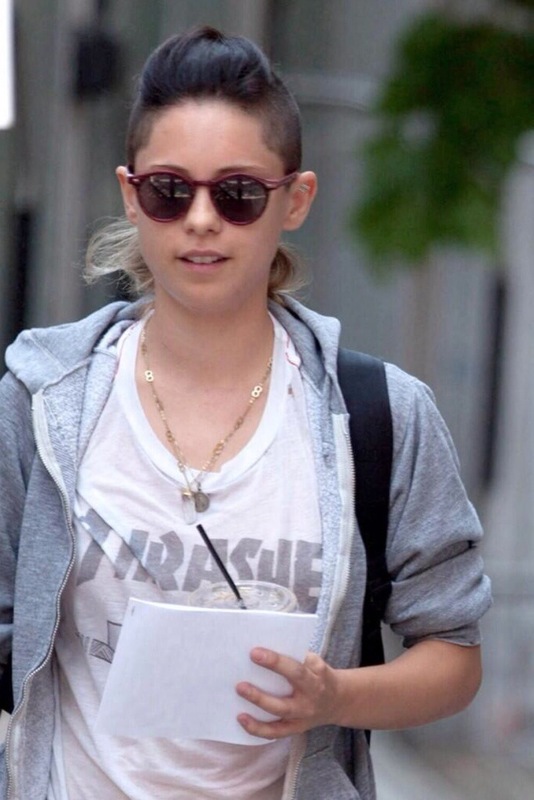 PS: Do you know if you’re going to have a cameo in it? VR: I don’t know yet. I was hoping to maybe demote myself to just a regular extra because the cameo thing required me to do the minimal amount of acting I can do and it was very stressful. I’m not good at it. If I could just be in the background without any focus being drawn to me at all, that would be really great. It was really fun. 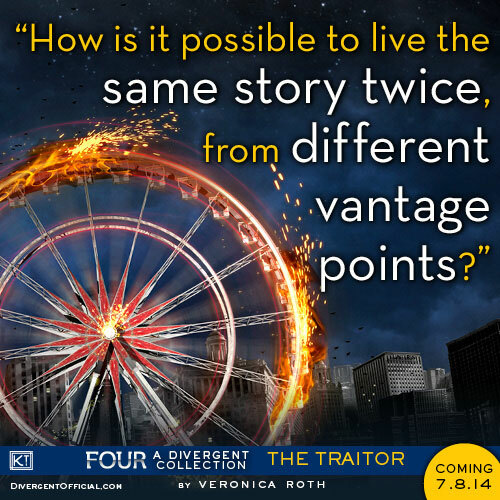 PS: Were you happy when you saw the finished product of your cameo in the Divergent movie? VR: Yeah, I think was a huge relief because I was like, “Good! I didn’t mess up the whole take.” And it kind of flew by, so I was also happy about that. 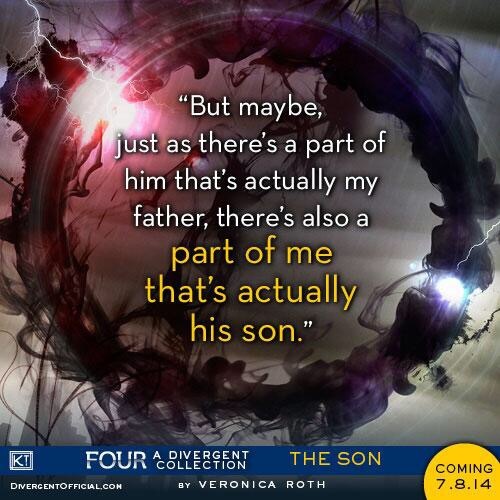 PS: Well, speaking of the Divergent movie, Neil Burger had to cut out some scenes and some characters. Were you bummed about anything that was cut? 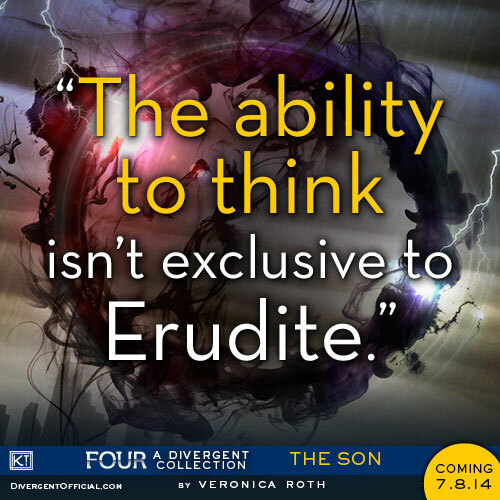 Are you excited to hear about V’s visit to the Insurgent set? 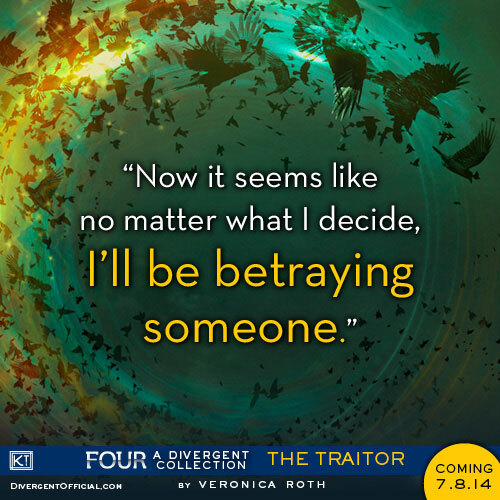 Categories: Insurgent Movie, Insurgent News, veronica roth | Tags: insurgent movie, Insurgent News, pop sugar, Veronica Roth | Permalink. 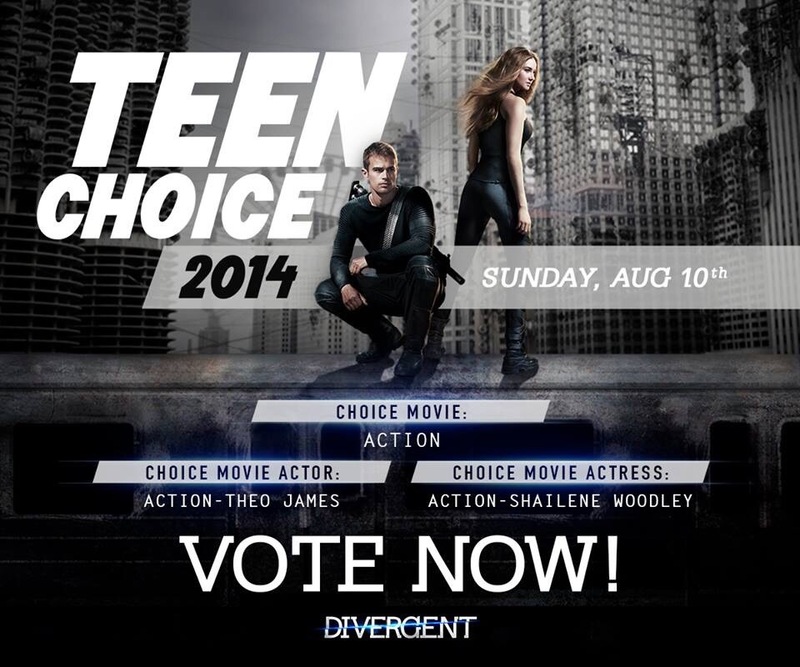 The Teen Choice Awards nominations were just released and Divergent, Shailene Woodley, Ansel Elgort and Theo James are all nominated. 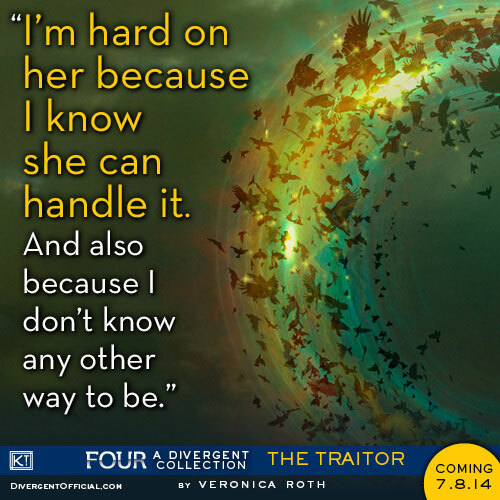 Shailene for nominated for both Divergent and The Fault in Our Stars, Ansel for The Fault in Our Stars and Theo for Divergent. 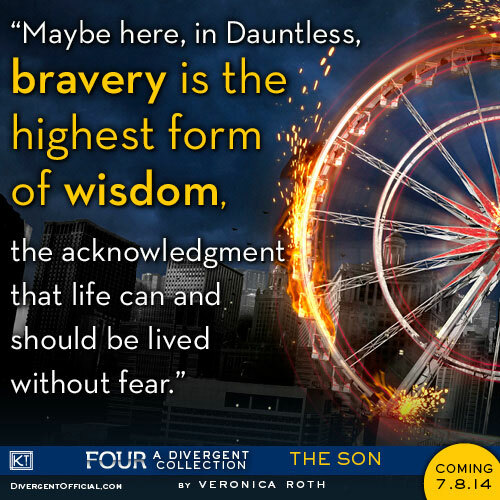 Congratulations to the cast and crew that worked on Divergent, Theo James, Shailene Woodley And Ansel Elgort! Categories: Ansel Elgort, Divergent Movie, Shailene Woodley, Theo James | Tags: Ansel elgort, shailene woodley, teen choice awards, theo james | Permalink. 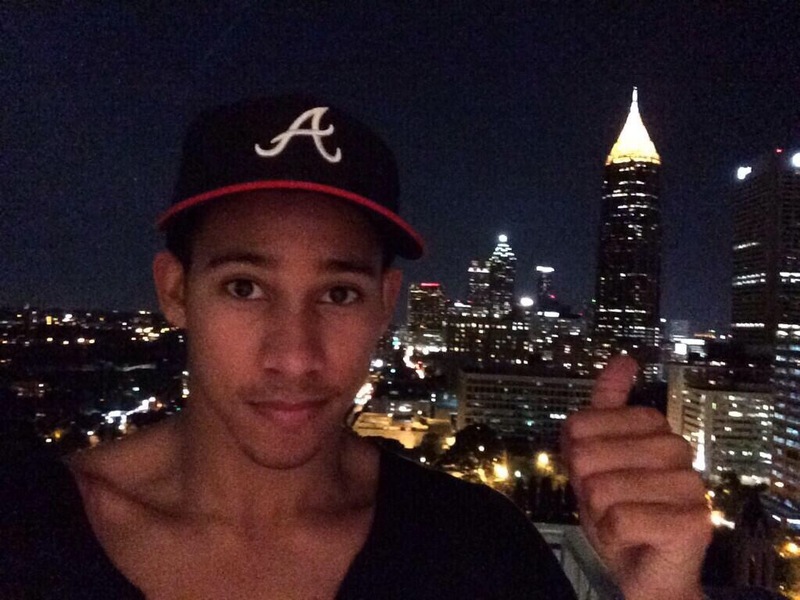 Our Uriah, Keiynan Lonsdale has arrived in Atlanta to start shooting for Insurgent! Categories: Insurgent Movie, Insurgent News, Keiynan Lonsdale | Tags: insurgent movie, Insurgent News, keiynan lonsdale | Permalink. Yesterday Just Jared announced the full list of authors that will attend YALLFEST. 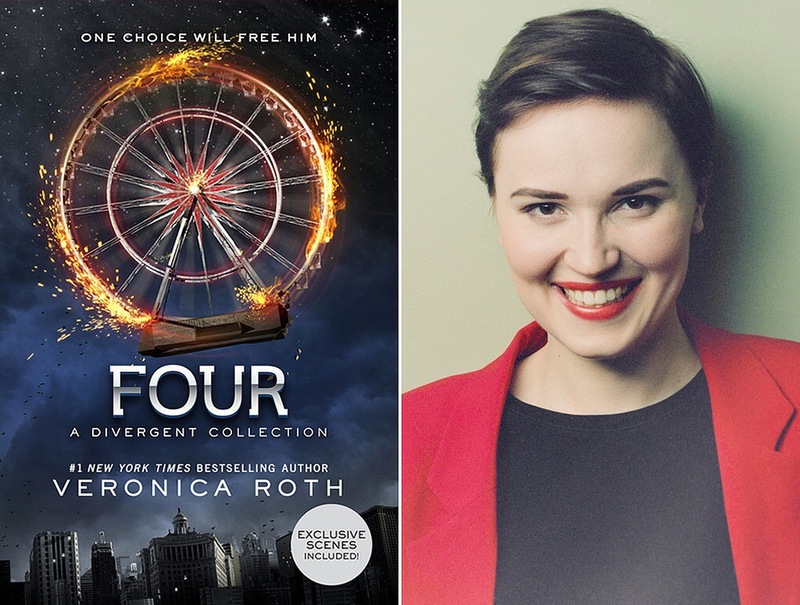 Our girl Veronica Roth will be there! This year, not only will Margaret Stohl, Kami Garcia, Melissa de la Cruz, Brendan Reichs, and Pseudonymous Bosch be back with Blue Bicycle Books owner Jonathan Sanchez, there are over 60 authors that will be there — like “Divergent” author Veronica Roth, “The Maze Runner” author James Dashner, and “Matched”s author Ally Condie. YALLFEST will take place on Friday, November 7th and Saturday, November 8th in Charleston, South Carolina. 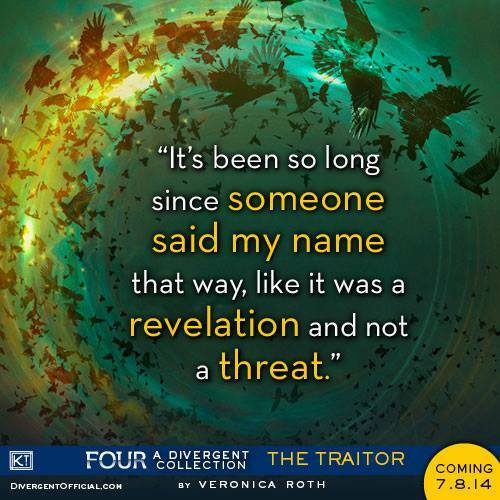 Categories: veronica roth | Tags: Veronica Roth, YALLFEST | Permalink.